The style of Queen Anne Victorian mansion combined with the southwestern-inspired interior décor gives the home an unmistakable vibe. From the communal music parlor to the custom headboards and unique clawfoot bathtubs in each room, not a single detail was missed. The custom wallpaper and decorative wooden walls are standout features that cannot go unmentioned. Each of the rooms is thoughtfully and distinctly designed. We stayed in The Watchtower, a whimsical and cozy copper-leafed (yes, copper-leafed) room located in the side tower of the mansion. The room is complete with an 1800’s wooden and copper bathtub with a skylight, an old-fashioned warbdrobe trunk and a rustic leather couch. 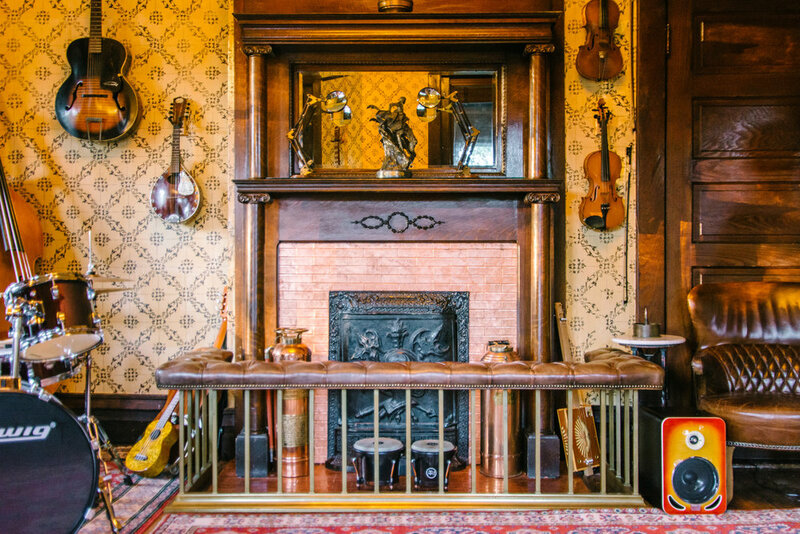 The communal music parlor is not only aesthetically appealing but also functional. Filled with vintage and obscure instruments, it is every artist or musician's dream. The inviting atmosphere is an ideal gathering place for an intimate jam session or songwriter's round. The funky combination of textures, wallpaper and patterns with the eclectic collection of instruments creates an inviting atmosphere. Basically, this place makes all my hipster dreams come true. 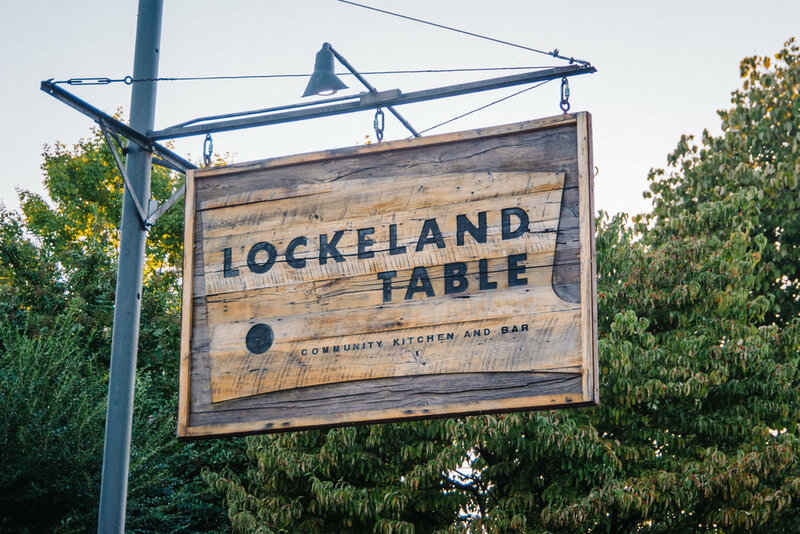 We didn’t want to leave the oasis of our tower once we checked in, but decided to venture across the street to Lockeland Table for dinner. The charming restaurant and bar was constructed in the 1930’s as one of the original H.G. Hills dry goods stores. We arrived earlier than our reservation and sat at the bar for drinks and appetizers, which were both outstanding. We shared a cheese board that featured local cheeses, honey and pepper jelly. Cameron ordered a Vieux Carré, his favorite whiskey cocktail and I had a Tuscan red wine. Atfter enjoying our delicious entrees, we headed back to our room to relax and unwind. The next morning, we had our coffee in the morning light of the tower as we soaked up some time together before heading to work. 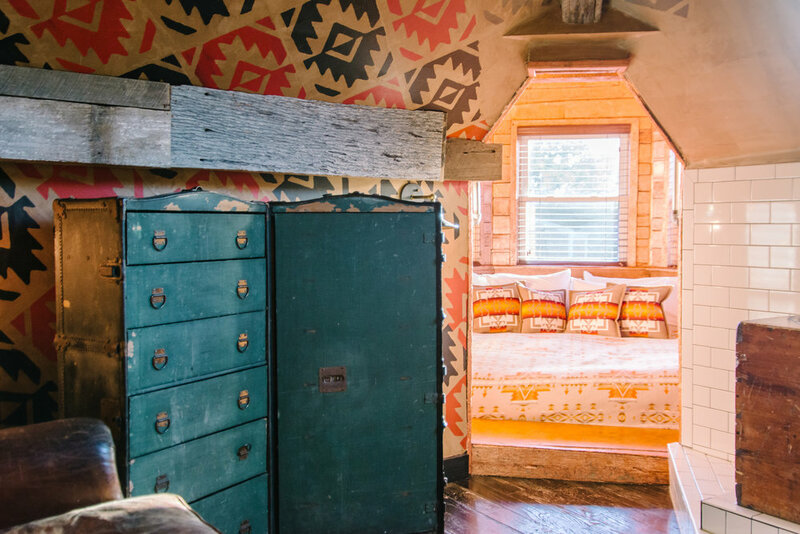 Overall, Urban Cowboy was the perfect destination for a unique and memorable getaway. I'm still pretty proud that I managed to pull off the surprise. My expectations were high and I was NOT disappointed. 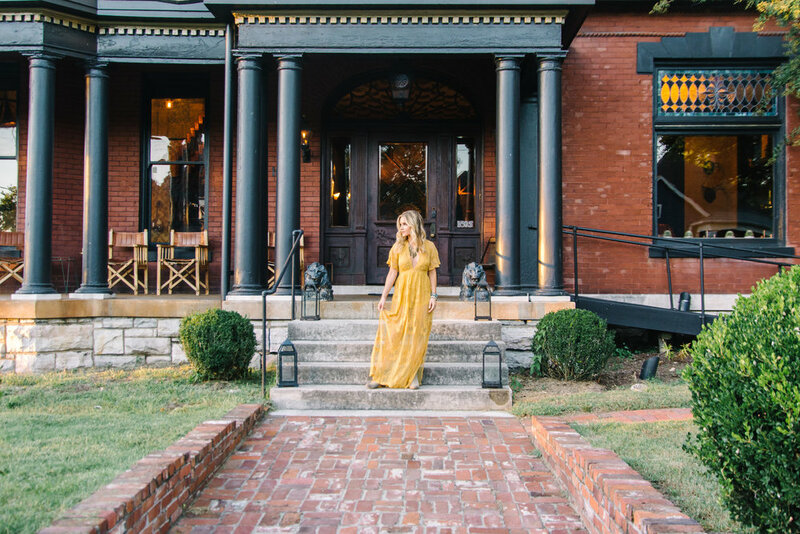 The home is located just a few blocks from Five Points, a revitalized and continually evolving East Nashville neighborhood. 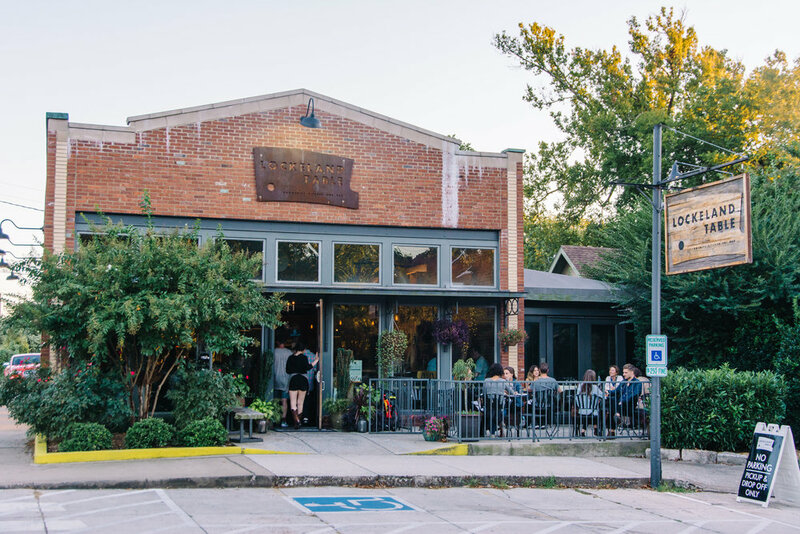 There are many nearby craft coffee shops, dive bars, artisan stores and standout restaurants in the area. The creators of the Cowboy are set to open a bar, Urban Cowboy Public House, this fall. If it's anything like the rest of the house, I have a feeling we will be making our way to East Nashville more often.